RUB academic staff and researchers for the purpose of initiating and fostering collaborations with the RUB’s international partner universities, in order to plan and realise research activities for their graduate students. By conducing short-term research projects abroad, students have the opportunity to enhance their studies through research activities in an international context in a discipline-specific manner. Research stays abroad are considered particularly worthy of being funded if students collaborate in joint research projects of the partner institution and RUB, thus deepening their discipline-related and intercultural competencies. The research activities should preferably be awarded credit points require the use of technical terminology in a foreign language. Moreover, the research project abroad should strengthen the collaboration with the partner university in particular and the faculty’s international profile in general. LabExchange awards grants to help students conduct short-term research at a partner university abroad, e.g. lab, and research internships, research in archives, libraries and university collections, collaboration in research projects etc. Students receive compensation for travel expenses and accommodation allowance. Country-specific compensation for travel expenses is granted for amounts ranging between 125 € and max. 3.475 € , as well as accommodation allowance for amounts between 300 € and max. 500 € per month, depending on destination and duration of the research stay. 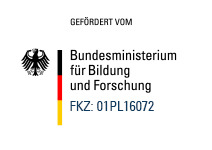 The maximum funding rate is determined by country-specific fixed rates for PROMOS travel expenses and scholarships (Teilstipendium Mobilität und Teilstipendium Aufenthalt). Other expenses will not be reimbursed by LabExchange. In case of students who receive financial support through other public funds for the same research project abroad, their eligibility for a LabExchange grant has to be verified. Double funding of travel and accommodation expenses, for example by Erasmus or PROMOS is excluded. The student is pursing the Master’s degree or is in the final stages of her/his Bachelor’s degree at RUB. The research project runs for min. two weeks and max. four months. The project abroad is research-oriented, i.e. active participation in a research project or conducting individual research activities have priority, rather than attending lectures or seminars. The students may attend lectures that don’t exceed 4 hours per week, and they must acquire more Credit Points through the research activities than through lecture attendance. Doctoral researcher are not eligible for our funding lines. However, PhD students have the opportunity to fund research stays abroad via RUB Research School. Please submit your application documents in a pdf document to LabExchange Manager, Dr Sonja Yeh. Added value resulting from the research project for Outgoings (expected individual and subject-specific competence increase, future and career perspectives, establishment of an international network). Participation in an exchange meeting with other LabExchange returnees and students who will be going to a partner university with LabExchange. International students have the opportunity to come to RUB for a limited duration and collaborate in joint research projects carried out by the partner university and RUB. Supervision by a RUB faculty member must be guaranteed. Research stays abroad are considered particularly worthy of being funded if RUB graduate students are, in turn, conducting research at the partner university, thus ensuring a balanced exchange. LabExchange awards grants to enable students from an international partner university to conduct short-term research at RUB, e.g. lab, and research internships, research in archives, libraries and university collections, collaboration in research projects etc. Only students from countries with a cost of living significantly lower than that of Germany are eligible for funding. International students from partner universities receive compensation for travel expenses and accommodation allowance. Compensation for travel expenses amount to 125 € and max. 3,475 €, depending on the country of origin. Accommodation costs are subsidised up to 300 € per month. The maximum funding rate is determined by country-specific fixed rates for PROMOS travel expenses and scholarships. Other expenses will not be reimbursed by LabExchange. In case of students who receive financial support through other public funds for the same research project abroad, their eligibility for a LabExchange grant has to be verified. Double funding of travel and accommodation expenses, for example by Erasmus or PROMOS is excluded. The research project is carried out at a RUB faculty, and there are established ties between RUB and the target institution. RUB students also conduct or have conducted research at the dispatching partner institution. The project abroad is research-oriented, i.e. active participation in a research project has priority, rather than attending lectures or seminars. Proof of contact with RUB (e.g. written partnership agreement, confirmation of supervision by a faculty member at RUB etc. ); specifying a supervising faculty member at the partner institution as contact. Added value resulting from the research project abroad for the collaboration with the partner university (application of the research results in joint research projects, integration in existing research projects, initiation of new research collaborations and/or projects, initiation of teaching collaborations, increase of student exchanges). Submission of a confirmation of the research project by the RUB’s supervising faculty member. University teaching staff and researchers may submit grant applications to LabExchange, for travels with the purpose of initiating or fostering relationship with a partner university or faculty. Funding is granted if the aim of the initiation and fostering visit is planning and implementing opportunities for students to conduct research projects abroad, research and lab internships, research in archives, libraries and university collections, collaboration in research projects etc. Funding requirements include participation and involvement of students in research contexts. Funding objectives include initiating, consolidating and formalising partnerships that result in strengthening the faculty’s and RUB’s international profile. Doctoral researcher can receive funding for international activities primarily via RUB Research School. Compensations are granted for travel expenses and accommodation costs for up to four nights. Compensation for travel expenses amount to 125 € and max. 3,475 €, depending on the destination (PROMOS). Accommodation costs are covered max. within the limits stipulated by the German travel expenses act and the travel expense regulation, BRKG. In case of teaching staff and researchers who receive financial support through other public funds for the same trip, their eligibility for a LabExchange grant has to be verified. Double funding of travel and accommodation expenses is excluded. Proof of contact with the academic institution at destination (e.g. invitation letter, written partnership agreement), plus specifying a faculty member at the partner institution as contact. Applications are to be submitted via the faculty’s Dean’s Office. Please submit your application documents in a pdf document to LabExchange Manager, Dr Sonja Yeh. Added value resulting from the initiation visit for strengthening the collaboration with the partner university (initiation of joint research projects in which students are involved, initiation of teaching collaborations, increase of student exchanges, formalising the collaboration). Results report for initiative grants.